DOMINO brought together artists, arts professionals, and a diverse public audience for a four-week arts programme based at a former shoe factory in Norwich in Spring 2017 with the aim of strengthening, promoting and cultivating the local arts scene, while expanding links with other UK cities outside of London. Click here for an overview of the project, or click on any of the sections below for further documentation on the separate areas of the project. 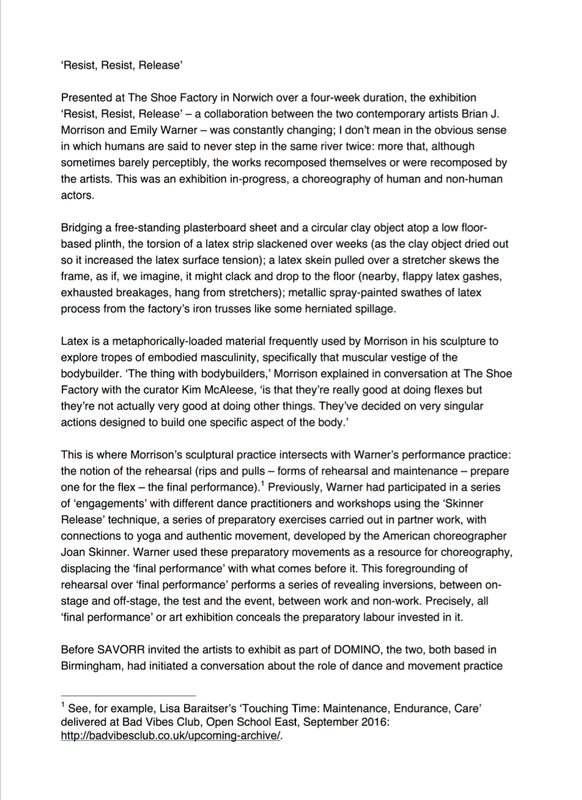 Brian J Morrison + Emily Warner: Resist, Resist, Release. Supporting events: Birmingham Arts Talk, NNSAC Graphic Scores Workshop, DOMINO + NNSAC Music Evening, Liz Ballard Workshop, DOMINO Open Film. 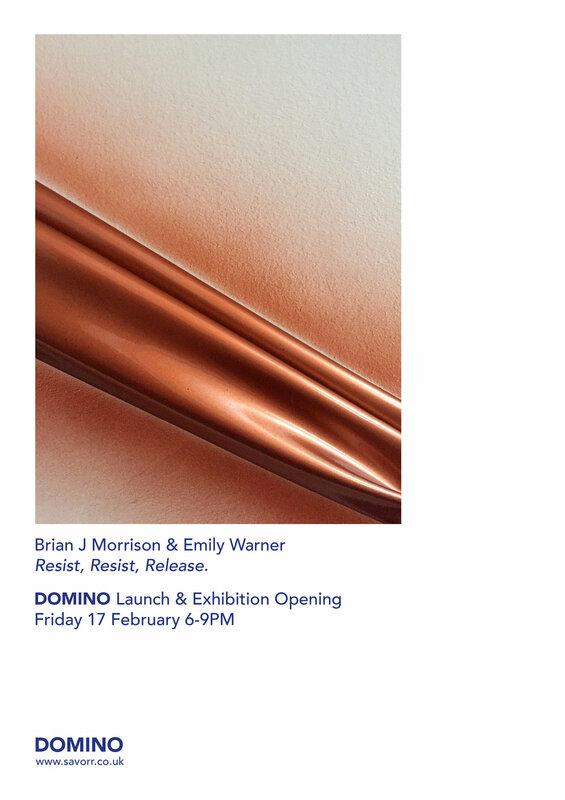 A special thank you to East Anglian Art Fund for supporting the DOMINO Publication. Thank you also to Norwich City Council, Norfolk City Council, The Shoe Factory Social Club and Telfer Stokes for their support of the programme; to the staff at OPEN Youth Venue, The Theatre Royal and OUTPOST for lending equipment; to Eco Colour Print for providing such a reliable service; to the people that helped document the project; to all the artists, musicians and people involved in SAVORR, NNSAC, Liz Ballard and to everyone that attended the events, making the month long project exciting, engaging and interesting.